There is more than a lifetime of poetry in Zev Shanken’s new book, “If I Try To Be Like Him, Who Will Be Like Me?” which was launched in Teaneck on Thursday. There is also the life of his father, a bomber pilot in World War II who then became a rabbi and the source of Mr. Shanken’s deep Jewish connections. And there is the life of Mr. Shanken’s close friend Jay Greenspan, the calligrapher who lived in Teaneck until his death at 69 in 2017. The book is dedicated to Mr. Greenspan, and it features several poems rendered by Mr. Greenspan’s calligraphic pen. “His death was a watershed that made me want to collect poems from over the years,” Mr. Shanken said. Mr. Shanken met Mr. Greenspan in the early 1970s in what was then considered the Jewish counterculture: The New York Havurah. The result was, practically speaking, a synagogue run by young people, without a rabbi or other paid leader or very much infrastructure. That was radical then. “We rented an apartment. In those days rent was cheaper. We met weekly. We had some rabbinical students, some people who were preparing to be scholars, a number at JTS,” — the Jewish Theological Seminary — “one going for a doctorate at Columbia. “We also had people who were social workers and calligraphers. It was a time when Jewish craft was becoming an interesting thing, parallel to the interest in craft in the secular world. Our community came out with the Jewish Catalog, parallel to the Whole Earth Catalog — Richard Siegel (who recently died), who was part of the Havurah, was one of the Jewish Catalog’s editors. “We wanted Jewish activities in more than just a suburban middle class way, where you go to synagogue and sit,” he said. Mr. Greenspan’s professional life was shaped by this current. Mr. Shanken had been one of the few married members of the Havurah; he and his wife, Leslie, got married in 1970 and they looked into joining a Manhattan synagogue — “but they were all very much not in my way of thinking,” he said. In 1981, Mr. Shanken left New York and settled in Teaneck; Mr. Greenspan soon followed. “We had parallel lives,” Mr. Shanken said. “For the sin of deadlines. For the sin of having a boss. For the sin of needing one. Mr. Shanken began writing poetry during his junior year in Israel, a year before the Six Day War. Back in New York, he began to be published in small journals and to read at open poetry nights in Greenwich Village. Poetry is not exactly a professional career. Until his retirement in 2014, Mr. Shanken taught in public schools in New York and Teaneck. In the late 1970s, he actually had a job as a visiting poet. 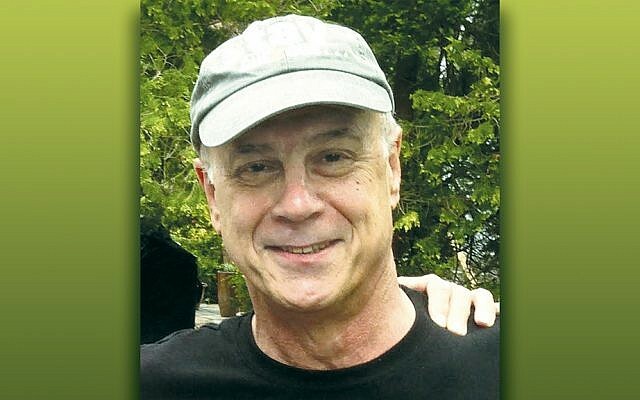 He was working as executive director of the Hillcrest Jewish Center in Queens when he was tapped by a program that sent poets into Westchester high schools. Now that he’s retired, he writes three poems every morning. “In the evening I look at them and see which I want to work on more,” he said. He polishes and completes “two decent poems every two weeks,” he said.